AMD have been talking a lot about their Mantle API – a police megaphone soldered into your PC that lets supported games talk directly to your graphics card without bothering with DirectX’s cup-and-string routine. 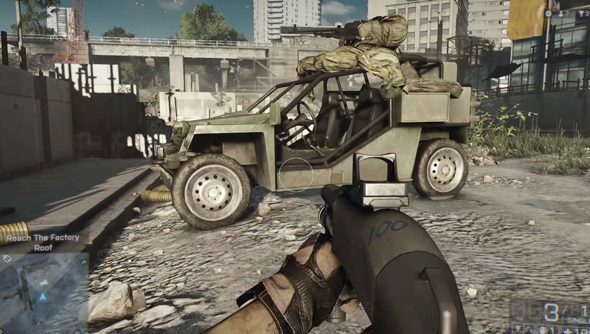 They’ve said that it’ll run with Battlefield 4. They’ve said that it’ll run games up to 45% faster than DirectX, and shown an spaceship demo to prove it. But this is the first time we’ve caught them saying both in the same sentence. Mantle exploits a core renderer like that used in the PS4, in which AMD’s hardware resides. The manufacturer reckon it’ll visibly improve performance in a range of supported games, including all of EA’s upcoming Frostbite 3 games. So that’s nice. Less nice for Nvidia, of course. If AMD can promise performance that’s flat-out better than the nearest equivalent, what’ll become of the healthily competitive graphics card market we’ve grown used to?